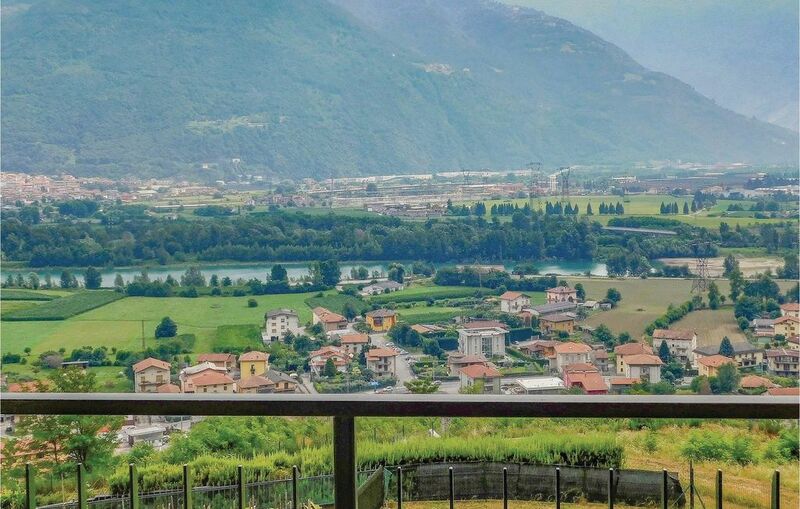 In Rogno, a town located between the famous Boario Terme (just 6 km) and the town of Lovere on the shores of Lake Iseo (just 8 km) lies this semi-detached holiday house on three levels with a large garden and views of Lake Iseo. At about 20 km distance is Monte Campione, about 2000 m high, with 30 m km of ski slopes and 11 lifts. The area offers numerous opportunities for recreation such as hiking, nordic walking, boating, sailing, and numerous excursions in the woods. Nearby is also the famous Franciacorta, famous for the production of excellent wines. One parking space is in the garage and several uncovered parking spaces are outside.